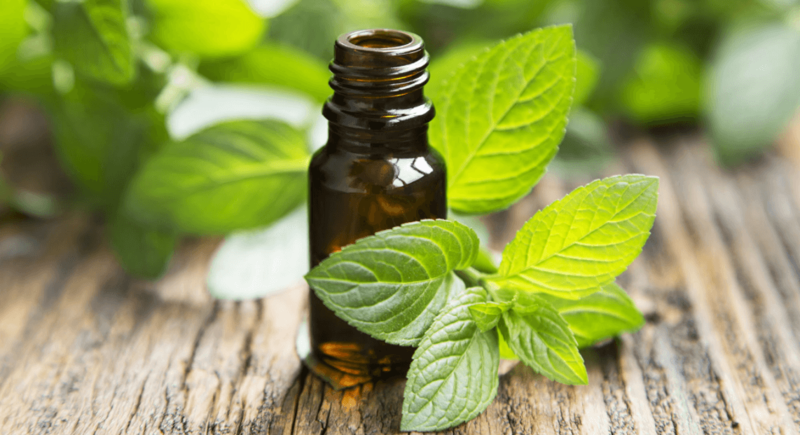 What Is Lemon Balm Essential Oil? Lemon Balm is a herb that is often confused as a weed by most conventional gardeners. It looks like a weed, grows like a weed – but has tremendous health benefits for those who know how to treat the plant and how to extract the essential phytonutrients that make it so suitable as a natural treatment for a variety of health issues. In recent months, I’ve learned that a few of my close friends have been using tranquilizers to help them recover the sleep they lose almost every night because of their high-stress lifestyles. When I started realizing how many of my friends were using these to treat their sleep deprivation, I was a bit shocked! I thought we all had similar values in regards to harmful pharmaceutical drugs, especially when they gradually build up a physical and psychological addiction in the users. I guess we don’t! After discovering that more than 2 of my friends had been using these tranquilizers for a few months, I started researching natural sedatives that could be used as an alternative. I found quite a few options, however the one that stuck out to me most was the Lemon Balm herb. This is because it’s so cheap to cultivate and always readily available! I’ll explain how to use it and even how to make the oil by yourself at home in the article below, so keep scrolling. 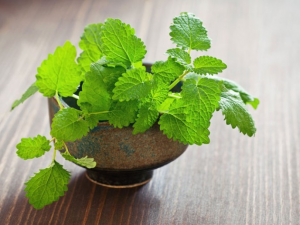 What Is Lemon Balm Essential Oil And Where Does It Come From? Lemon Balm is of the same genus of the Mint family. Lemon Balm grows much like a weed – it spreads very quickly and can grow in a variety of different soils – so long as it receives just enough moisture. It is native to areas such as Asia, Lower parts of Europe and parts of the Middle East – specifically Iran, however the plant has been normalized in most parts of the world in modern times. Lemon Balm is of the same genus of the Mint family and even looks similar to mint – although, it has a sweet and slightly citrus scent. It is often used to attract bees as a means of pollinating honey and flowers throughout spring and sometime even into summer as well. The plant has been utilized as an important ingredient in traditional medicine since the early Greeks used it to treat restlessness and to ease the mind. The plant can be consumed in its natural form (as a flavorant in fish and poultry dishes) or crushed and blended into teas as well as being used in soups. This plant can literally be cultivated in almost any garden and should be planted in its own section – lest it overtakes the other plants it grows next to. The essential oil is generally extracted from the leaves, stems and flowers of the plant and done so through a process known as steam distillation. This is the oldest means of extracting the essential oil from organic matter and is still one of the most effective means of doing so – as it produces the cleanest final product and the purest form of the extract. The method of steam distillation is actually quite simple in principle and can be replicated at home. The organic matter is collected and crushed (mortar and pestle works best) in order to release the essential phytonutrients and chemical compounds that make up the base of the essential oil. The organic matter is then placed in a chamber that is connected to another chamber via a copper, glass or even plastic tube. In this chamber, water is heated (with open flame or electricity) in order to form steam, which passes through the tube and fills the chamber that holds the organic matter. The heat of the steam causes evaporation to occur which extracts the essential phytonutrients and chemicals from the plant matter. The vapor, now containing the essential nutrients and vitamins, passes through another tube into a final chamber where the vapor condenses and forms droplets. These droplets make up the liquid that we know as the essential oil – the final product. Because the Lemon Balm plant is so easy to cultivate, the essential oil of the plant is reasonably cheap. Most of you don’t actually have professional steam distillation systems lying around at home and they generally aren’t something that can be acquired at your local department store. However, the same conditions can be reproduced at home with basic kitchen utensils and the results are practically the same. I’ll attach a basic DIY recipe for making your own Lemon Balm essential oil at home. The organic matter is collected and crushed in order to release the essential phytonutrients. Please note that this is an infused oil – and not the pure extract. The pure extract can only be made through steam distillation and is not generally suitable for DIY use. 1 Double boiler, heat resistant (large) bowl. 1 Large cooking pot – large enough to place the double boiler on top of. It should fit into the pot, but not slip down to the bottom. 2 Cups of water – but you can add more depending on the size of the pot you’re using. 1 ½ Cup of carrier oil (the amount depends on the amount of plant material you use). The carrier oil I would recommend for this would be either extra virgin olive oil, canola oil or castor oil. 1 Muslin or cheesecloth filter. Bring the water to a boil in the pot. 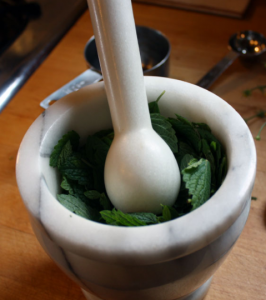 Place the dried Lemon Balm cuttings and the carrier oil in the heat resistant bowl and place that in the pot. The bowl should not touch the water. Cover the bowl with a lid and allow the cuttings to boil like this for roughly 3 hours. Once the time has elapsed, take the pot off the boil and allow the liquid to cool. Now, pour the oil through the filter and make sure you remove all of the plant cuttings. Store this in a glass container and place in cool dry place away from direct sunlight. And voila! You have your own batch of infused Lemon Balm oil. Lemon Balm is an effective treatment of both cold sores and the Herpes virus (type 1 and 2). Using Lemon Balm is an effective treatment of both cold sores and the Herpes virus (type 1 and 2) for a variety of reasons. I highly recommend it because it’s safe, non-toxic and shouldn’t cause any dryness, inflammation or redness – unless you happen to be allergic. The oil acts as a strong natural antiseptic because it has high levels of limonoids, citronellal, geraniol, linalool and caffeic acid. These seek to inhibit the spread of infectious bacteria that worsen your skin’s condition and spread the virus that contributes to the herpes complex and the formation of cold sores around the mouth. 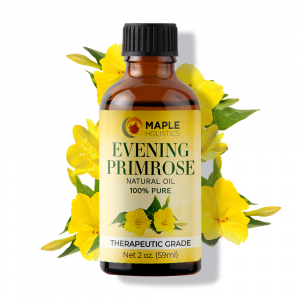 The oil is considered to have natural lipophilic properties, which basically means that it can be easily absorbed into the skin and dissolves with the natural fats that lie just under the surface of your skin. This means that it can remove and toxins that have entered the bloodstream and effectively combat the virus from within your body. Lemon balm has been used as a natural stress and anxiety reliever. Lemon balm has been used for hundreds, if not thousands of years as a natural stress and anxiety reliever. The scent of the herb is very calming and can be used to soothe the mind and relax the body. The oil can be inhaled in its natural form or used in a diffuser/oil burner to help you calm down and unwind. 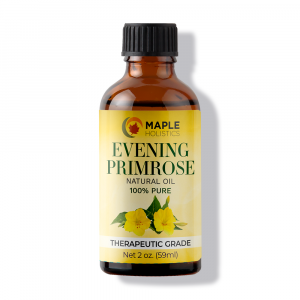 In my opinion, the most effective means of treating your anxiety with this oil is to blend it with either frankincense or lavender essential oil and use it in a steam treatment. To do this, simply boil a kettle of water and pour the water into your basin or into a large bowl. Add 6-7 drops of Lemon Balm essential oil and about 3-4 drops of the other oil to this water. Cover the bowl or basin with a towel to form a tent and inhale the steam. Be sure to keep your eyes closed and try to breath in through your nose. You’ll start feeling calm and at peace within minutes. Lemon Balm essential oil is quite effective in treating high blood pressure levels by reducing and inhibiting the development of low-density lipoproteins. These are essentially the fats that contribute the most to high cholesterol levels and can lead to heart disease. The opposite of these are known as high-density lipoproteins and are considered to promote cardiovascular health. They can be found in magnesium supplements, omega 3 fatty acids (fish and fish oils), generated through regular exercise and by consuming unsaturated fats. By reducing the amount of these lipids and triglycerides found in your bloodstream, as well as reducing your stress and tension levels, you can effectively lower your blood pressure levels as well as the amount of bad cholesterol in your body. Thus protecting you against heart disease and keeping your body healthy and strong. 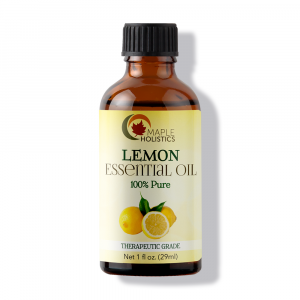 However, I would recommend that you use the Lemon Balm oil in conjunction with the aforementioned means of increasing your high-density lipoproteins and with a balanced diet. The essential oil alone can only do so much. The high levels of limonoids, citronellal, geraniol, linalool and caffeic acid contained in Lemon Balm essential oil make it a potent and non-toxic natural antioxidant. This means that the oil can ingested orally with some warm water (in small doses), inhaled through a steam process or even added to your morning juice (again in small doses) to help flush any harmful toxins and bacteria from your system before they cause any problems in your body. Antioxidants are also great for maintaining and regulating your body’s general state of health and that of your skin’s by removing and preventing any free-radical damage that may occur over the course of your day. Free-radicals are basically molecules that we come into contact with on a daily basis, whether it’s through exposure to the sun (free-radicals are linked to UV ray exposure), any fatty foods you might eat or even certain medications you might take. These molecules cause cell damage and degeneration through chemical reactions and are one of the leading causes of the signs of aging and a weakened immune system – which makes you vulnerable to other infections and diseases. The antioxidants will contain and remove the molecules from your system when ingested orally and can be applied topically to get rid of them on the surface of your skin, improving your natural complexion and helping to slow the signs of aging. Did you know that you need 8000 kilos of lemon balm (Melissa) to produce one litre of essential oil? 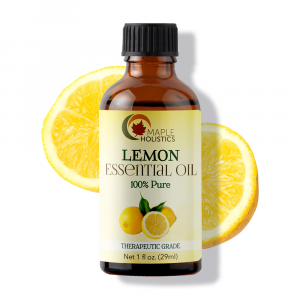 Lemon Balm essential oil contains high amounts of Eugenol – a vital oil in improving and sustaining cell life and health. This chemical has also been shown to have positive results, increasing memory and inducing calmness in your brain. So, it works well as a natural stress reliever and would be very suitable whilst studying for the big test or during exam season. The combination of the eugenol and rosmarinic acid also seek to protect your brain against damage that can often occur often a stroke – with regards to elderly people or those with high stress lifestyles who are vulnerable to strokes. It’s important for me to stress that the oil should be taken in very small and regulated doses and you should consult a doctor before ingesting it orally, as it has been known to increase toxicity levels in the liver and can ultimately lead to liver cell damage and poisoning when ingested in large enough doses. As I mentioned in the previous paragraph and in the opening paragraphs of this article, sleep restoration is one of the amazing properties of this herb and it can be used to wean people off prescription tranquilizers. I don’t use the term ‘wean’ lightly – as they are incredibly addictive and really potent things that I don’t think anyone should be on. The phytochemicals contained in Lemon Balm essential oil such as eugenol and citronellal help to ease the mind and relax the body, allowing you to calm down and unwind. The scent of lemon balm is also very pleasant and will further help to soothe you and let you calm down, allowing you to get some much needed rest and relaxation without having to pop a pill. You can use the oil in a diffuser or in a an oil burner to bring a pleasant scent to your room and allow you to unwind, as well as rubbing some of the oil directly onto your chest and neck. The best means of treating your sleep deprivation is to add 7 drops of the essential oil to a bowl of boiled water and roughly 4-5 drops of lavender oil as well. Cover the bowl with a towel to form a tent and inhale the steam through your nose – making sure that your eyes are closed. After doing this for about 10 -15 minutes, you’ll feel relaxed and even tired, as lemon balm is a natural sedative and has been used as one for hundreds of years. It’s definitely a better option than prescription drugs, if you ask me! 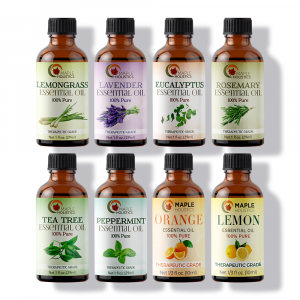 Learn all about Myrrh Essential Oil and the Benefits of Shea Butter at Maple Holistics! Ultimately, I would always recommend a natural product to a friend or family member or family member over a pharmaceutical concoction. Those things are just plain bad for you and should be illegal in most cases if you ask me. We’re slowly starting to wake up to the reality of natural alternatives, although I think a nudge in the right direction is always worth my time and effort. After all, good health is wealth!